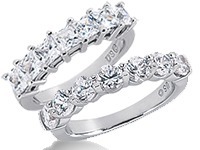 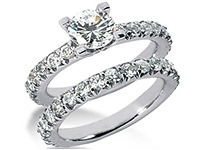 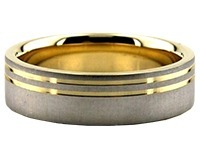 18K Gold 4mm Diamond Cut Wedding Band 608-4. 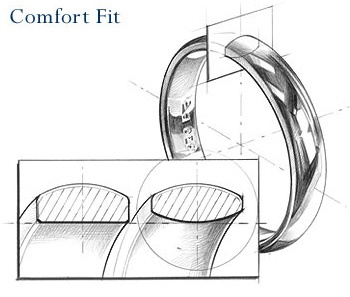 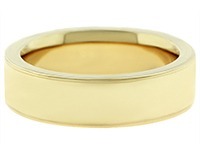 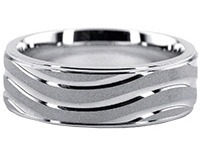 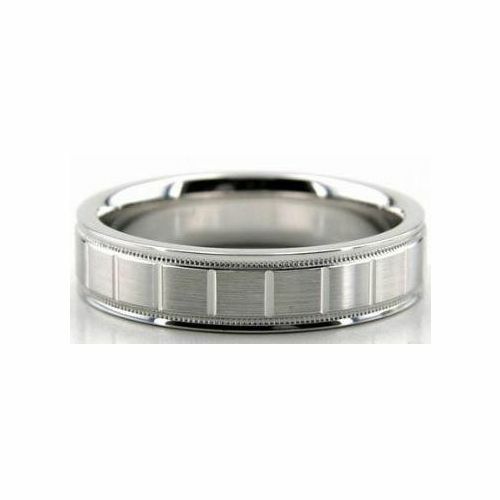 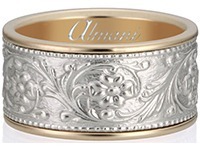 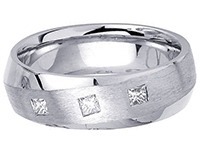 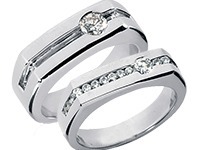 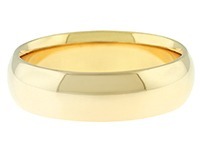 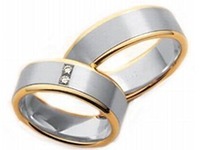 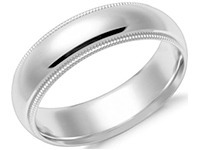 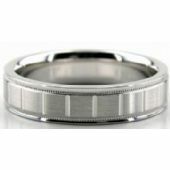 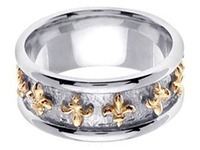 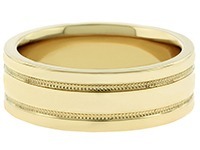 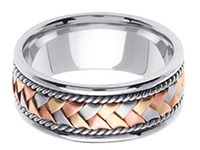 This satin finished wedding band has bright cuts going across vertically though the center. 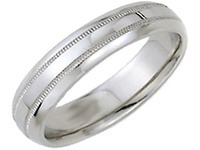 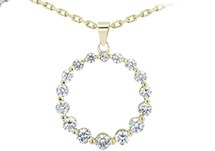 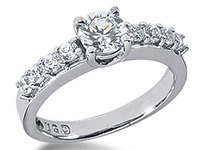 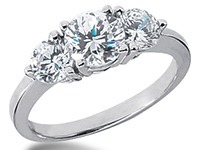 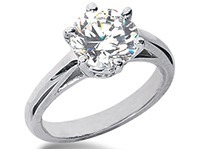 Each side of the center has milgrain, and both sides of the ring has a high polish. 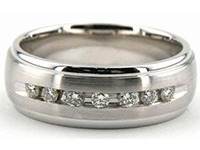 Our crafters handmade this 18K Gold Diamond Cut ring that is 4mm wide, just like every other wedding band and ring. 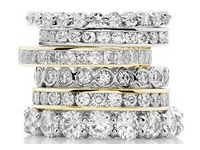 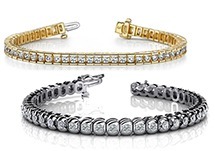 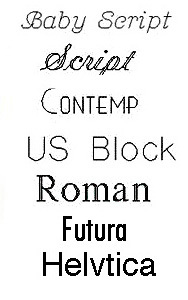 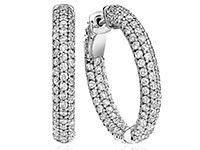 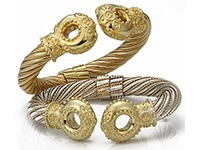 They make every product in house at our location in the Diamond District of New York City.